The SCV Resource Center provides visitors with a wide array of information for home buyers and home sellers, as well as Santa Clarita Residents, and those looking to purchase a home in this wonderful valley. A Santa Clarita resident since 1988 and licensed since 1994, a large percentage of her business is based on client referrals & repeat business resulting from the exceptional service she provides. She represents both Buyers and Sellers in every aspect of real estate from single family homes, condos & estates, commercial property to vacation homes, retirement areas, & offer you relocation assistance. Santa Clarita, CA is a suburban community approximately 40 miles north of downtown Los Angeles. People move here because of its idyllic family settings, variety of housing choices and pricing, and the sense of community and belonging it brings to all who live here. 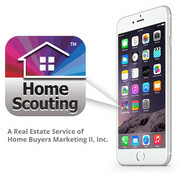 Use VIP Code 661-505-8102 to access our Home Scouting app! The Santa Clarita Valley is comprised of the communities of Valencia, Stevenson Ranch, Newhall, Saugus, Canyon Country, Castaic, Acton and Agua Dulce. Just What Is a Real Estate "Comp" Anyway?